Consolidated below are our most popular gift offerings to make online gift ordering easy for that perfect last minute gift. After a gift certificate is purchased online, you will instantly receive an email with the redeemable gift certificate code that you can print out and hand deliver to the recipient, or choose for us to automatically send the gift code directly to their email during checkout. Simple! The gift of flight is our most popular gift certificate. 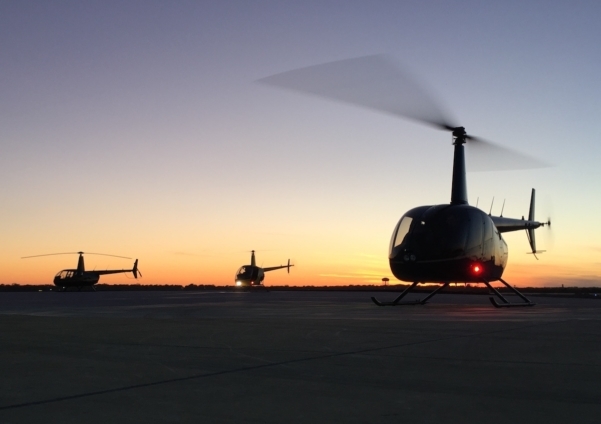 On a discovery flight, the recipient will learn about helicopters from their instructor prior to learning to fly one themselves under the supervision of a certified flight instructor. Flight times range from 30 to 60 minutes. For a full description of all discovery flight options, their features and the different helicopters, see Discovery Flights. Starting at $194. Ultimate Discovery Flight - 30 minutes classroom, 30 minutes simulator, 60 minutes flight. Ultimate Discovery Fight - 30 minutes classroom, 30 minutes simulator, 60 minutes flight. Helicopters options: The R22 helicopter is a two seat helicopter and is the most widely used training helicopter in the world. Maximum seat weight limit for the R22 is 220 lbs. 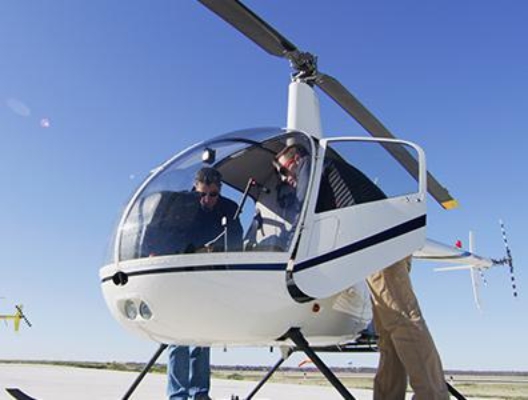 The R44 helicopter is a larger 4-seat version with a maximum seat weight of 300 lbs. We permit one ride-along in the R44. 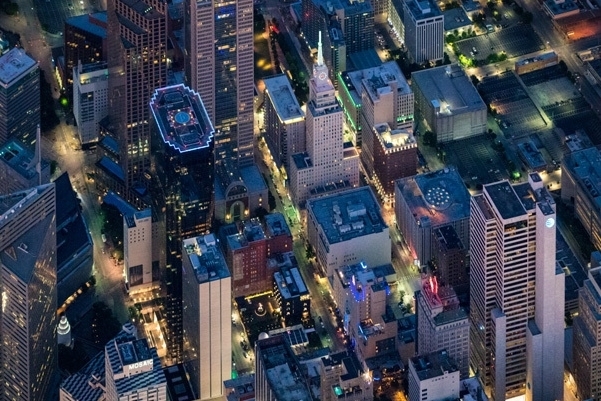 Our most popular helicopter tour of Dallas that is offered year-round and covers all the major attractions, and of course, the stunning downtown Dallas skyline. Sights to see include Fair Park, Cotton Bowl, American Airlines Center, downtown and so much more. Starting at $529. The pricing offered for these tours are for daytime tours between 1pm-2pm Thursday through Saturday, year-round. For departures after 5pm, an after-hours fee will apply. 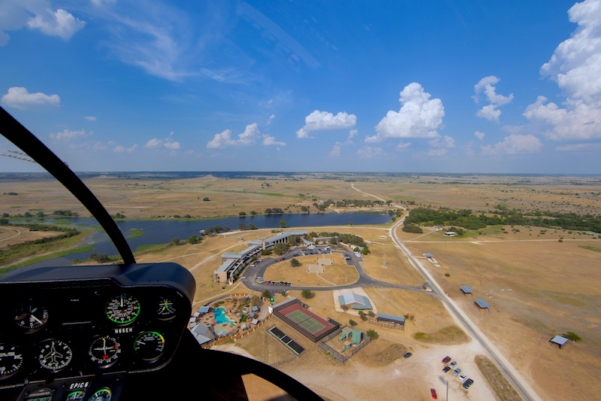 Our most popular helicopter tour of Fort Worth that is offered year-round and covers all the major attractions, and of course, the stunning downtown Fort Worth skyline. 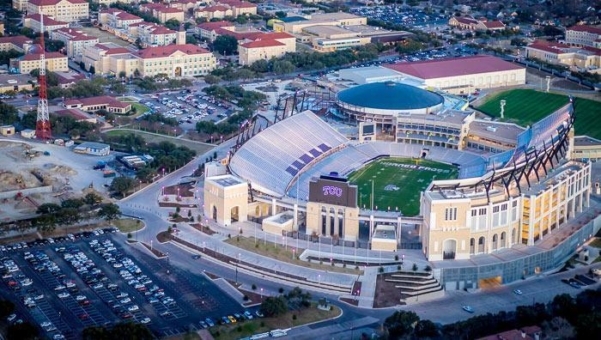 Sights to see include Stockyards, Texas Christian University, museum district, Fort Worth Zoo, downtown and so much more. Starting at $429. The pricing offered for these tours are for daytime tours between 1pm-2pm year-round. For departures after 5pm, an after-hours fee will apply. Choose an amount that fits your budget to be applied to any of our services. The recipient can use the balance toward tours, discovery flights, flight training, or any custom charter experience to name a few options. However, the recipient will be responsible for any remaining balance owed. $1000 + - great way to credit a flight training student's account balance as a special gift for someone that is already enrolled or is looking to enroll in our flight academy. $1500+ - perfect amount to design a highly customized, personalized and unique charter experience ranging from 1500-5000 or more. Any amount can be entered for a custom credit toward any of our services. Designed for giving a new student pilot a kick start to their flight training without necessarily committing to the full training program. 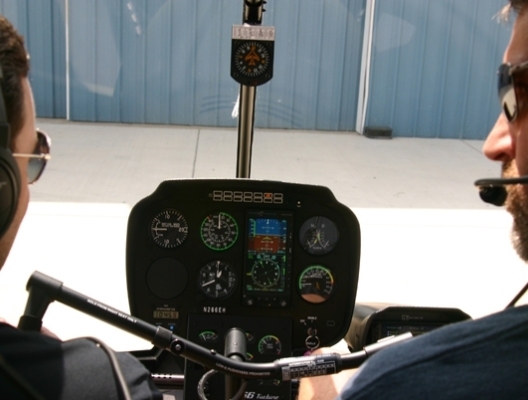 The flight and classroom time advances the student through our actual training curriculum. It also includes a pilot logbook and the primary textbook used in training. Training time counts toward the pilot certification requirements should the student decide to further pursue training after finishing the kit. 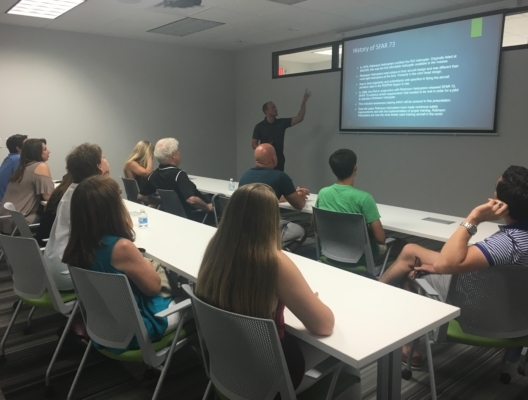 Included are: Classroom Instruction: Private Pilot Course Lessons 1-5 (9 hours), Flight Time: Private Pilot Course Lessons 1-5 (6 hours), pre & post-flight briefings, textbook & pilot logbook. Starting at $2,530. The Pilot Starter Kit options are identical except for the type of aircraft you select below and their corresponding price. 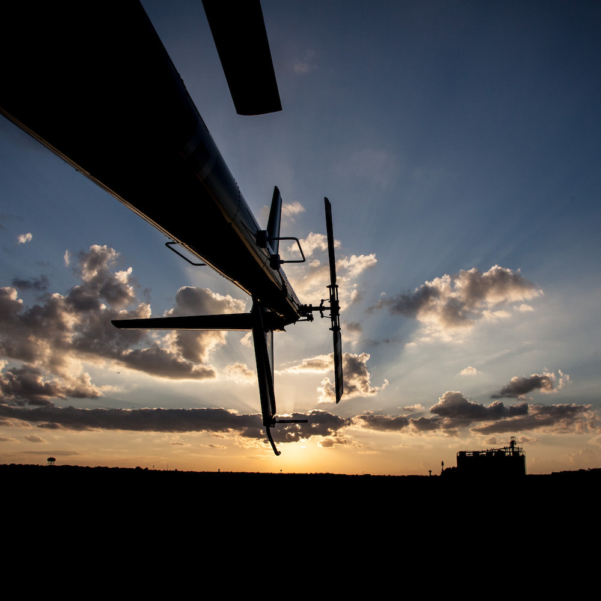 The R22 is a two seat helicopter that is the most popular training helicopter in the world. The R44 is a larger 4 seat helicopter. 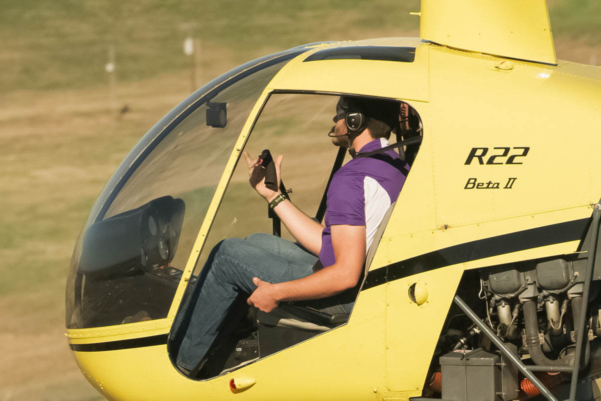 The R22 has a maximum seat weight limit of 220 lbs, whereas the R44 has a limit of 300 lbs. Take in the breathtaking views as you leave the bustle of the city behind en route to Rough Creek Lodge’s 11,000-acre ranch. You will land on a private helipad steps away from the award-winning restaurant. While on the property, enjoy fine wines, great food, plenty of activities both indoor and outdoor, and luxury accommodations if you choose to stay the evening. Package price includes a 2 hour hold for dinner with the cost of dinner included with the exception of alcoholic beverages. Package price includes a 2 hour hold for dinner with the cost of dinner included with the exception of alcoholic beverages. The most wonderful time of the year can only be seen in the most Epic of ways, #ByWayOfEpic of course! Holiday light tours are our most popular. 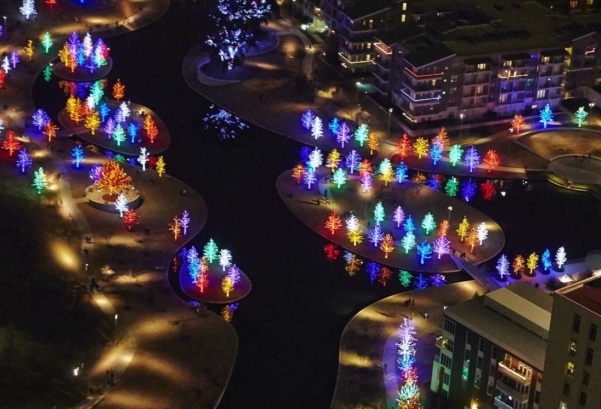 Offered in December, light tours depart from either Addison or Fort Worth departure locations. Such a unique gift! Prices are listed as per person. Minimum 2 passengers, maximum 4 may be purchased as a gift certificate. Subject to availability. We urge gift recipients to call in as soon as receiving the gift certificate to book if wishing to fly during the current holiday season. The gift certificate may be used for the following holiday season as well.